His reputation is evil. Bent on destruction, the Dark Lord exists to exterminate those who refuse to submit to his will. He’s been known to randomly snuff out lives for simple misunderstandings and disagreements. Obliterate entire worlds through that diabolical intergalactic weapon-megastructure-spaceship known as the Death Start. Not one to mess around, this guy doesn’t take nothing from nobody, no how. 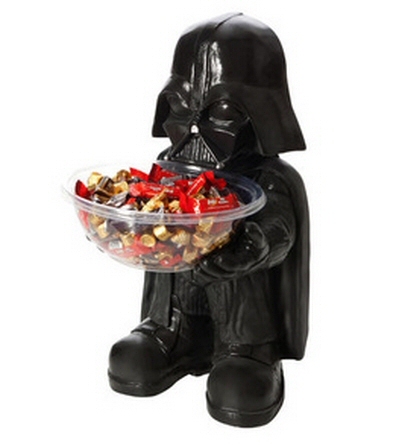 Yeah, it’s the Darthster. 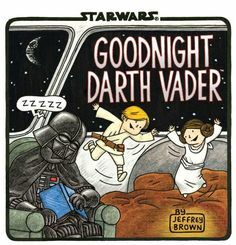 Good Ol’ Vader. 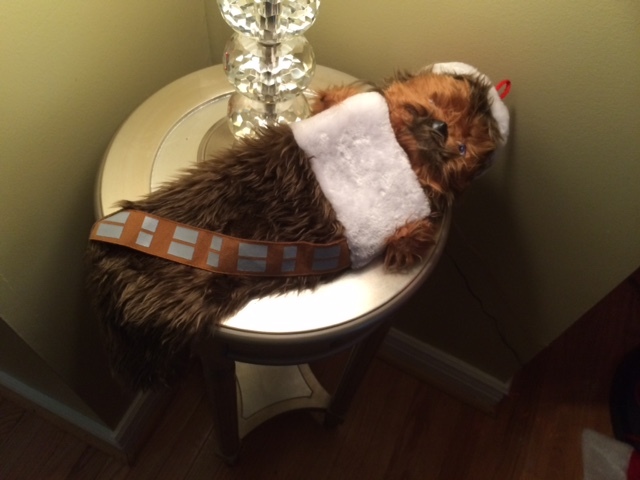 So why is it that this fearsome foe has taken on such a cute and cuddly image? I mean, look at the above picture. I know I’d love to have this on my front lawn, except it’d probably get stolen. It doesn’t end there, however. 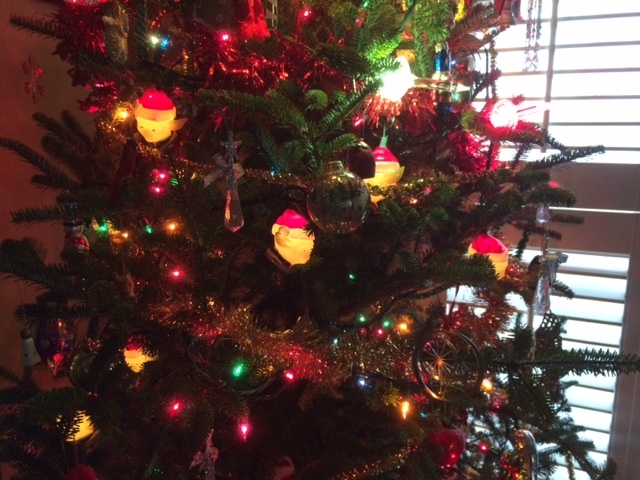 I’ve looked around just to see the vast selection of cute and cuddly Christmas gifts one could slip under the tree. 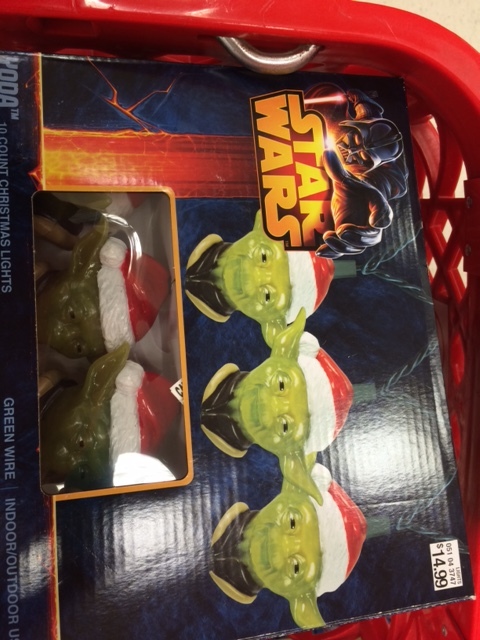 After all, Thanksgiving is next week and we all know what that means: SHOPPING. Here’s a few ways that everyone’s favorite baddie has been humiliated through mass marketing. 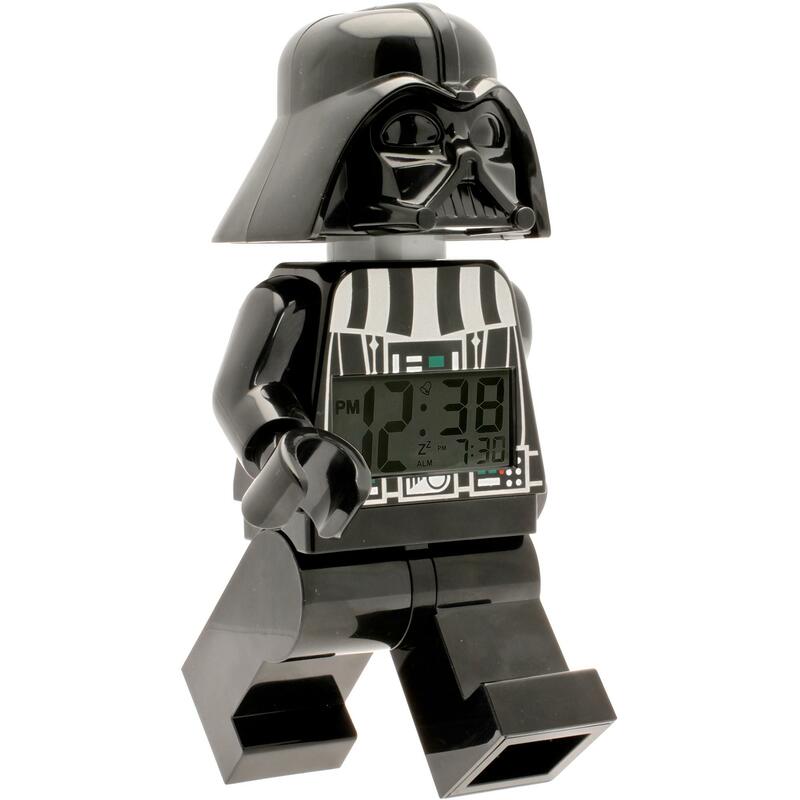 What better way to get out of bed in the morning than being strong-armed by Darth? Here he is, marching towards your mattress, ready to hurl you to the floor if you don’t get up already. His chest bears the time, reminding you that if you’re late for your appointment with doom, there’s far worse consequences for you in store. 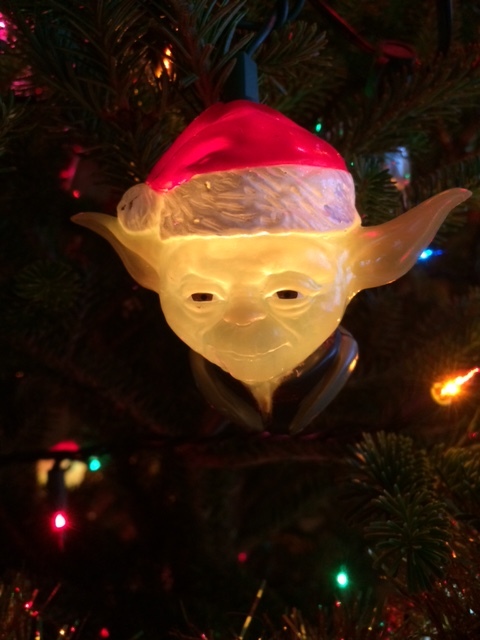 Brrr…it’s cold out there in galaxies far, far away. 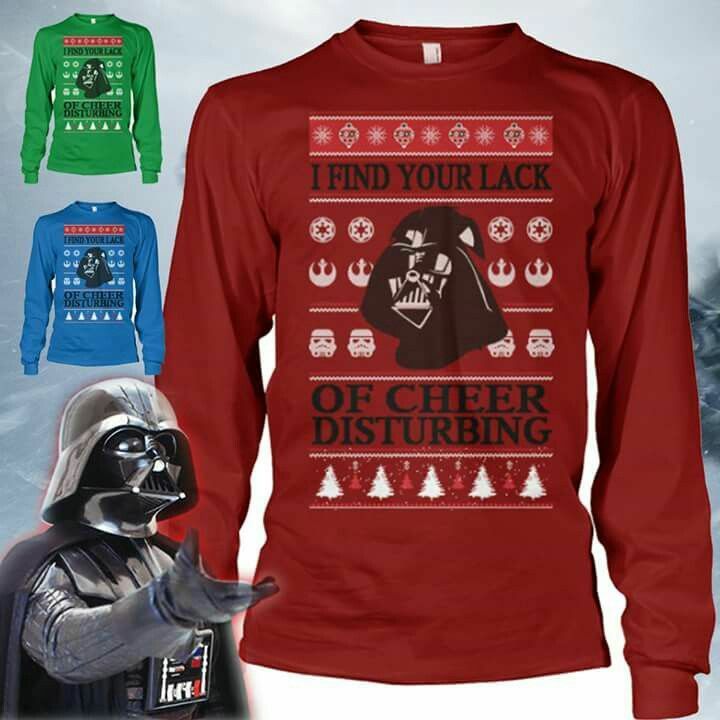 What better way to stylishly keep warm and carry our Dark Lord’s message of cheer? This holiday sweater comes in three fashionable colors, and is suitably tacky enough to be seen at the best of Christmas parties. 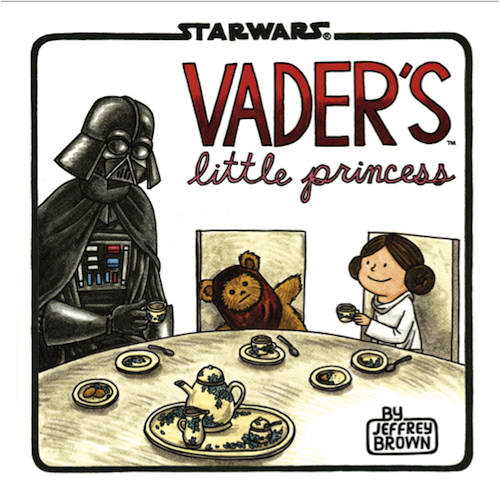 Aww…Daddy Darth…doesn’t he just make you smile? Taking little Luke out for ice cream, or playing tea party with Leia, he does his best to be attentive, except after a busy day with the twins, and then he conks out, like any Daddy would. 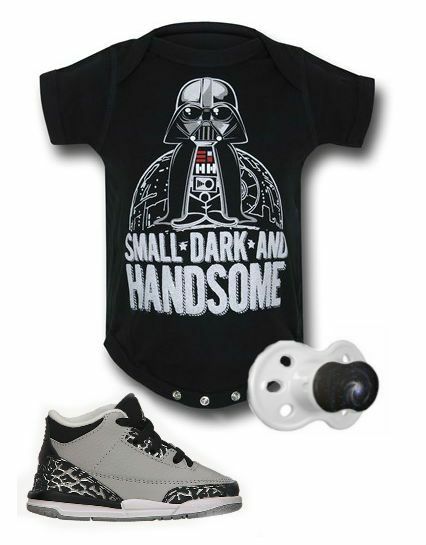 Darth had to start somewhere, even though at his birth he couldn’t possibly know he’d be reborn as a helmeted hellion. I’m not sure what’s more hilarious – a pacifier or the onesies it goes with. 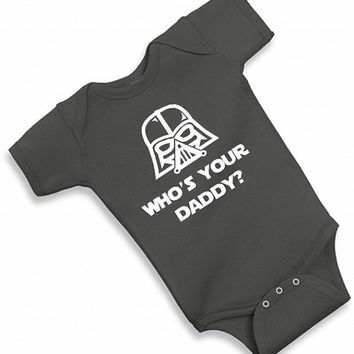 Perhaps Luke and Leia wore the second piece? 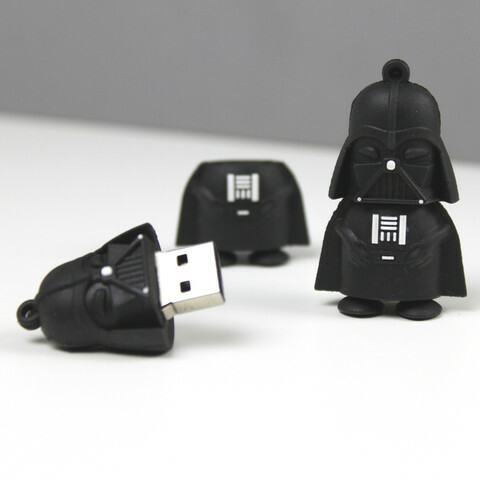 Darth’ll protect your latest novel or business spreadsheet from ever getting lost…that is, until you forget to take this stick drive out of your pocket and slip those trousers in the wash. Then you’ll face the consequences of the Dark Side. 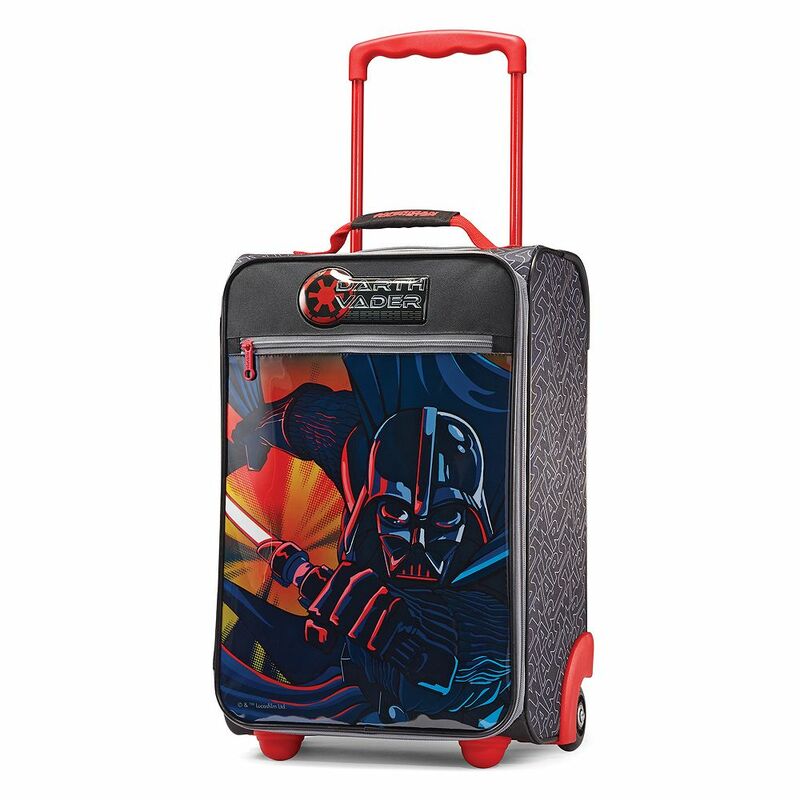 The next time you tool around the universe in the Death Star, be sure to be prepared with this stylish spinner suitcase. 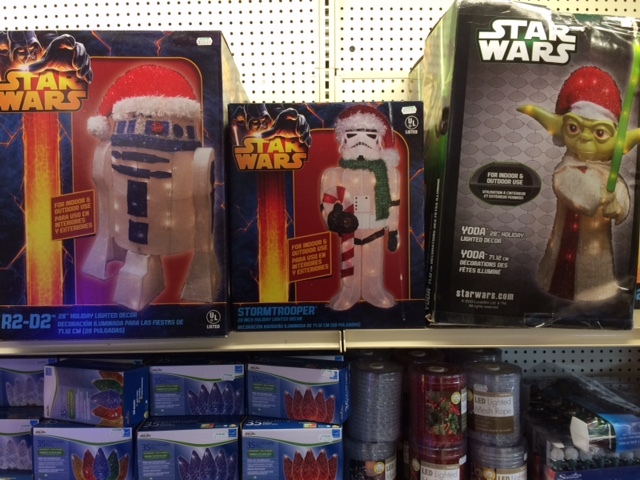 There’s plenty of room for your light saber and all other accoutrements of waging intergalactic Empire wars. Ah, there’s nothing like being able to relax after a hard day of fighting off your sworn enemies. 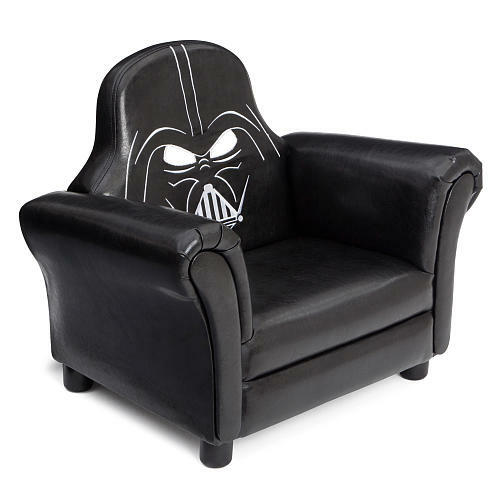 This chillaxin’ chair offers cushiony comfort for even the toughest of badasses. 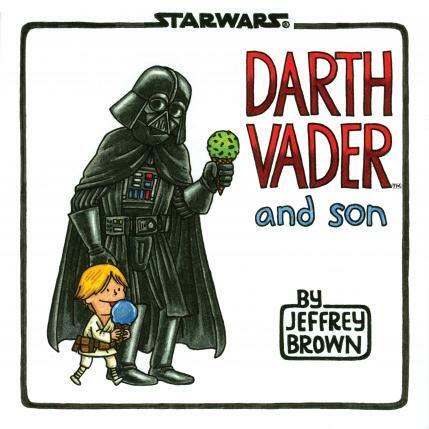 Who’s gonna mess with your kid when Darth’s on patrol? 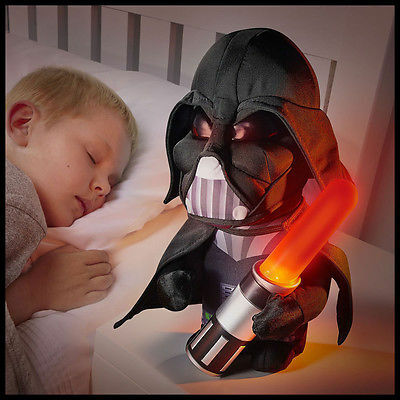 The eyes seem a little too weird for me, but that ready-to-go light saber tells me he’s at your kid’s side to fight off the ghosties and goblins lurking under the bed. 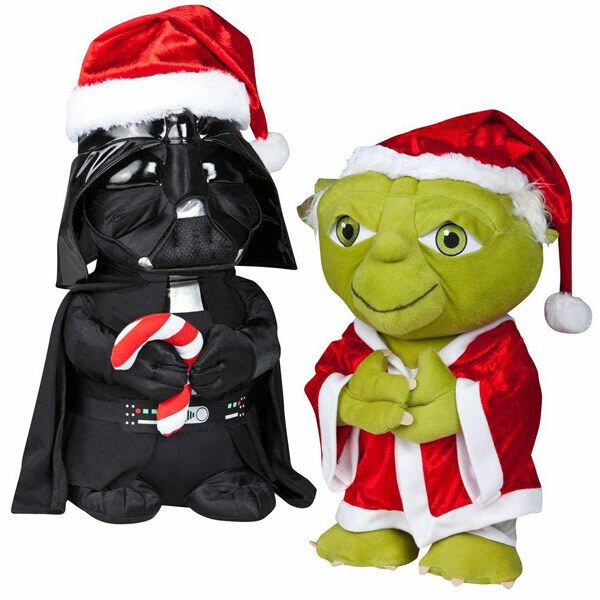 I’m sure Darth’d rather be spinning in his grave with deep humiliation if he only knew he’d be paired with Yoda in a Santa suit. 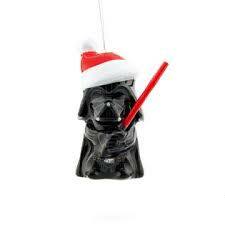 Darth won’t go that far, but he awkwardly holds a candy cane just to show he can be a good sport about these things. So there you have it! 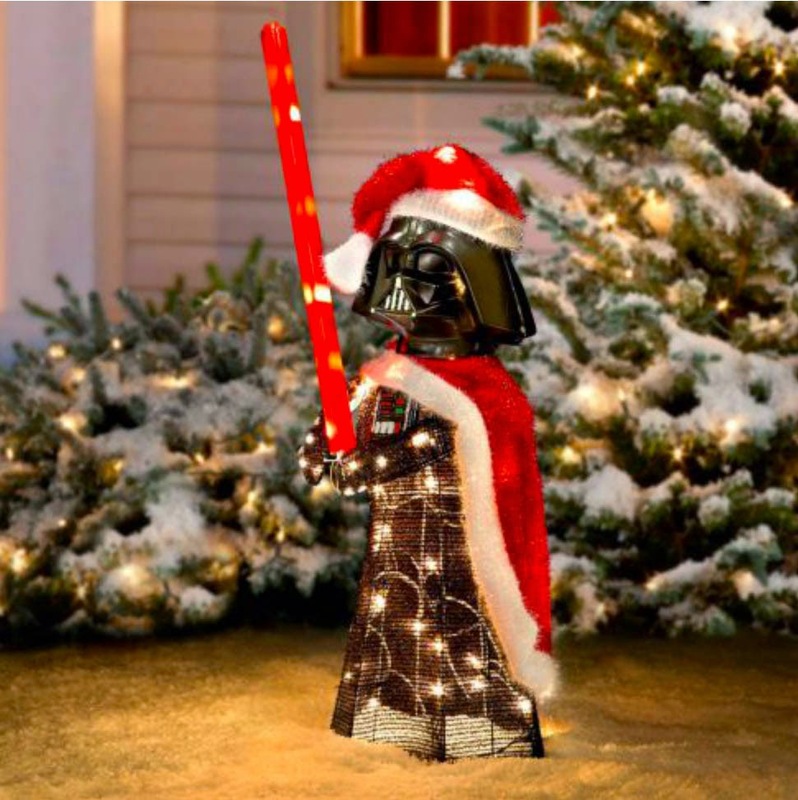 Your must-have Darthness for Darthmas – a holiday EVERYONE can love. Enjoy! 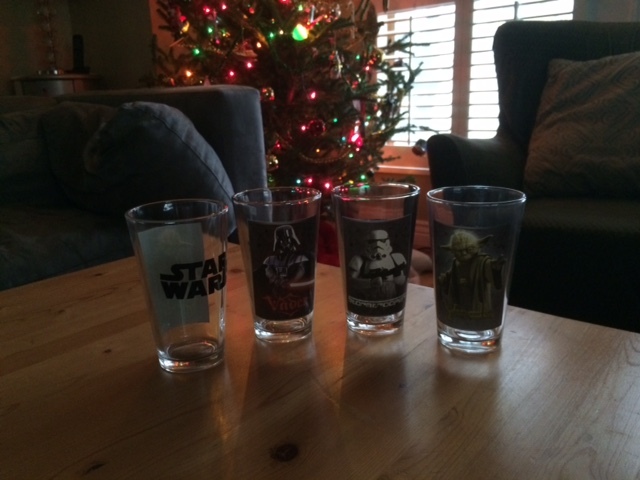 You’re sitting in your favorite chair, reclining and relaxing to that iconic sci-fi morality tale trilogy, Star Wars. You’re petting the cat, eating popcorn as you watch planets blow up, walkers trip and burn, even the Death Star going ka-blammo! It’s all good fun, and you even find yourself cheering. But did you even consider the toll? I hesitate to say “human” toll…many species lives were lost. And it’s kind of sad, don’t you think? 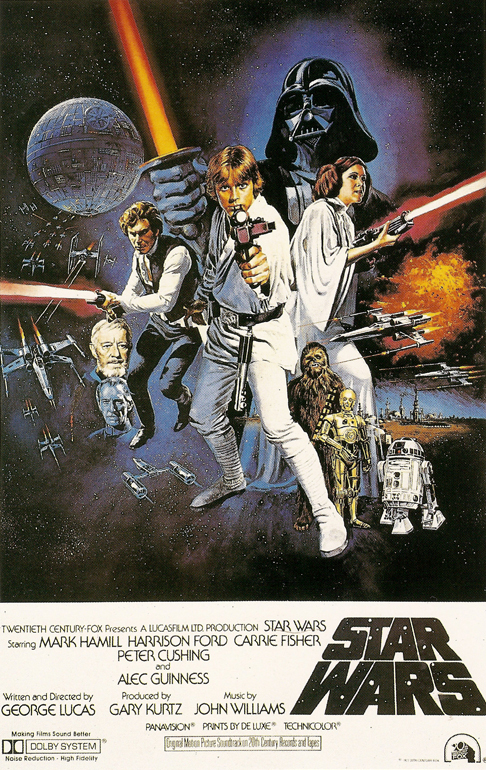 But then again, it’s all in the name of a heroic cause, and now, if you click on the above link, you’ll have your opportunity to cheer on the death and destruction, as Digg has tallied all 2,005,645,868 deaths in the original Star Wars trilogy. Here’s a complete chart of all the spaceships out there. 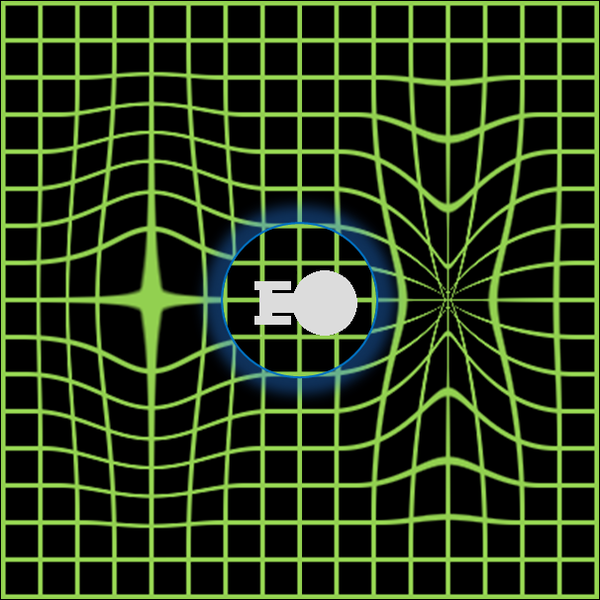 Sci-fi ships, that is. This chart comes courtesy of artist Dirk Loechel and one look at it will tell you it’s a true work of genius and labor of love. 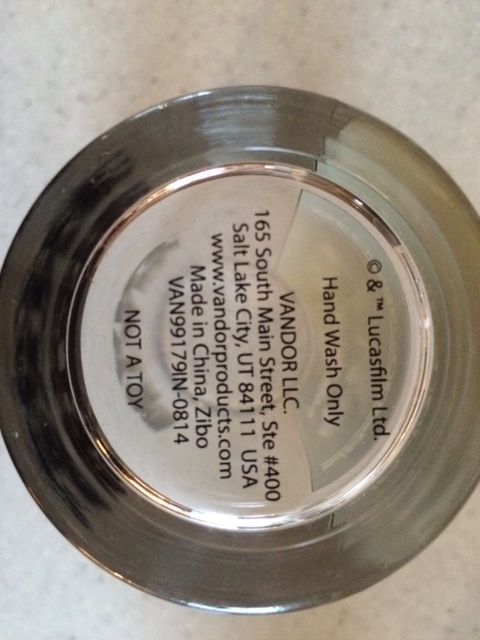 Apparently it’s missing a Tardis, but he explains why at his site.